Whether it’s Mechanical Bull, Mechanical Surfboard or Meltdown, our Mechanical Inflatable Rentals always add excitement to your event. This 8 Player Action Game is similar to the popular TV Show and keeps crowds across the country coming back for more! 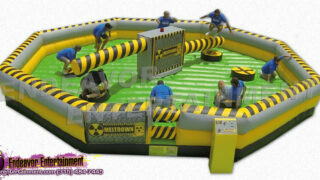 Reserve the Meltdown Inflatable today! 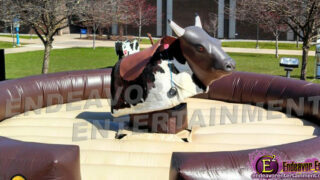 Our Mechanical Bull Rental is always a crowd pleaser! Can you make it 8 seconds? The mechanical bull is great for colleges, high schools, birthday parties, corporate functions, Bar / Bat Mitzvahs, western theme parties or any other event! A great white shark has been sighted at your next party—show your friends who’s boss on the Mechanical Great White Shark! Head to the beach with our mechanical surfboard. Can you hang ten or will you make a splash? The surfboard is perfect for your next tropical or beach themed event!